The Digital Oilfield is the buzzword of the oil industry in these early years of the 21st century. Data swiftly flows to databases, moves around the world at the speed of light and can be exchanged seamlessly between all stakeholders. From time to time, for good housekeeping, data is cleansed. Many people are involved in these intermediate or final steps. But, who cares about the real sources of oilfield data, seismic profiles, wireline and LWD logs, drilling data and core measurements? 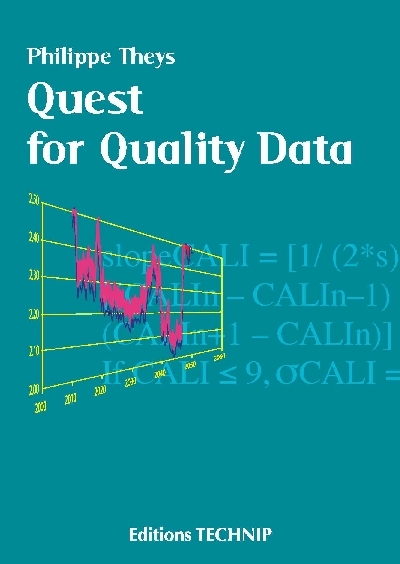 This book, Quest for quality data, expresses the real concerns about input data. It explains the inherent weaknesses of the oilfield data acquisition processes and gives recommendations on how to improve them. This quest goes through the paths of uncertainty management and elucidates the important role of the field engineers. 1. Introduction. Part 1. Why measurements differ from reality. 2. Setting the problem with simple examples. 3. All well measurements are indirect. 4. Logging measurements do not focus on zones of interest. 5. Measurements are imprecise and inaccurate. 6. How measurements can suffer from human bias. 7. Complexity. 8. Complication. 9. WYSINWYTII. 10. Misconceptions. Part 2. 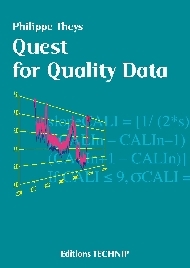 Quest for quality data. 11. The different uses of logging data. 12. Brochure Specifications. 13. Quest for uncertainties: From brochure specifications to real uncertainties. 14. Deliverables. 15. Depth. 16. Hidden Treasures. 17. Contribution of the field engineer to the quality of data. 18. Drilling data. 19. Coring data. 20. Conclusions and recommendations.